Tallaght Powder Coating is a family run business established in 1985 by Andy & Margaret Dowdall in their small workshop in Bohernabreena. Today we are based just off exit 10 on M50 Unit L2 Ballymount Drive Ballymount Industrial Estate D12 XW95 and is ideally located for both the local and national market. From small beginnings, we have become one of Ireland’s leading trade powder coaters and are renowned for quality service and commitment to our customers. At Tallaght Powder Coating we paint all types of metals for industrial and metals for commercial uses. Interior and exterior apartment fittings, hotels and shop fittings, windows and doors, clip art lettering’s, railings, garden furniture, internet stands, T.V. 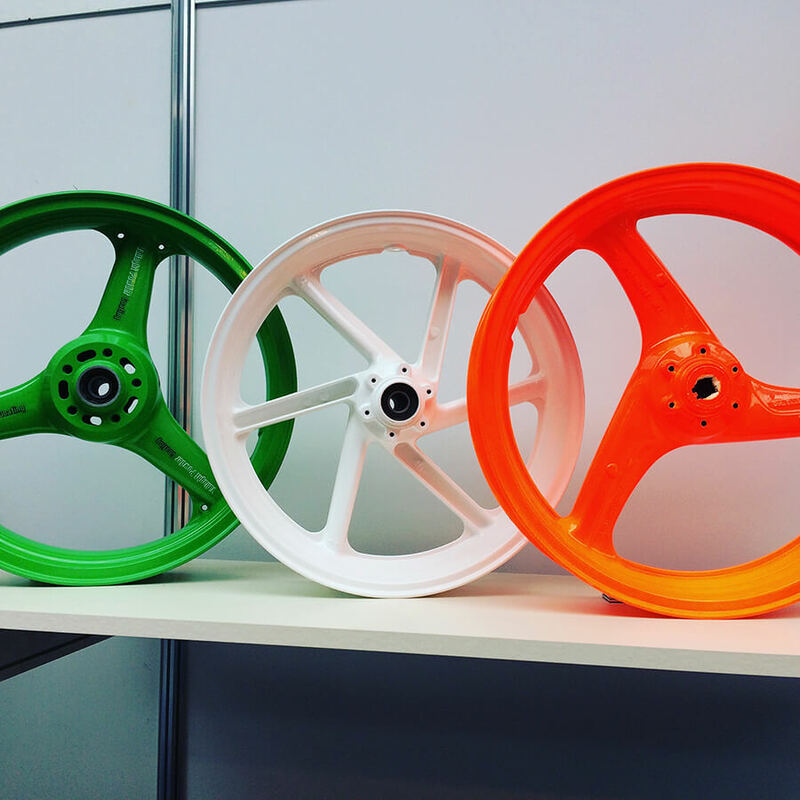 stands, alloy wheels and motorbikes are just some of the things that we do. Some of our customers have won awards for craftsmanship and service in various sectors including the modern art world, and signature motorcycle restoration, something that we are very proud of. In our 9000sq ft.premises we have two state of the art powder coating booths, both complete with ultra-fluorescent lighting and we have three main ovens for the stoving process each with onboard Siemens PLC timing systems to ensure accurate timing and precision of the baking process. The main oven which is 7metres long & over two and a half metres high means that we can now cater for almost any of our customers industrial or commercial powder coating needs within the country. We have the latest in state of the art opti-flex electro-static spray guns and the Guyson Euroblast 10 cabinet for sandblasting with extra width and depth to allow for the largest of items. Our turnaround time is maximum 3-5day, on most if not all of the work that we undertake and every job is individually packaged ready for collection by our clients. All our staff are highly trained, motivated and professional in every aspect of the process which has undoubtedly led to our continued reputation and success over the years. We hope as a potential client, that you enjoy browsing through our company website but most of all, that you can use our service in the future and look forward to a professional working relationship together, no matter how big or small the job might be.